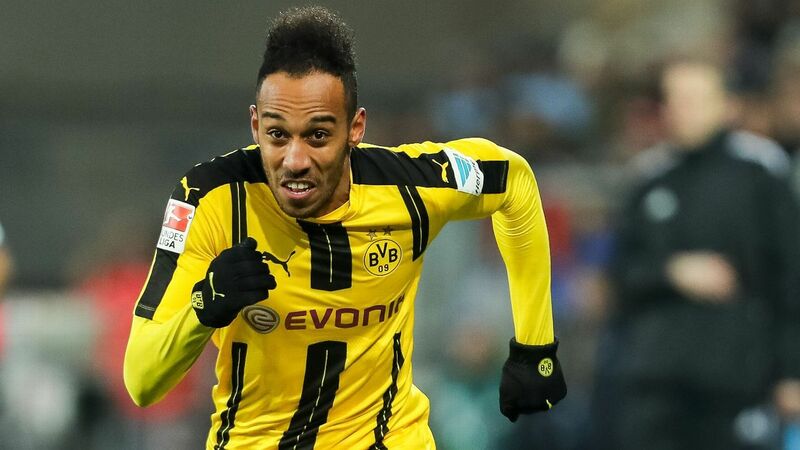 According to a report published by Italian outlet CalcioMercato, Arsenal transfer target Pierre-Emerick Aubameyang was booed and jeered by his own supporters during Borussia Dortmund’s 2-2 draw against SC Freiburg in the Bundesliga, a frustrating encounter at the Signal Iduna Park where tensions and emotions in the terraces subsequently boiled over. Aubameyang’s dedication and commitment to Dortmund has been scathingly questioned in recent weeks due to the Gunners’ supposed interest in his services, and with the Gabonese attacker being internally disciplined by his employers on 3 separate occasions in the past 15 months, the club’s avid supporters let the unruly 28-year-old know their feelings towards his provocative demeanour. ‘No player is bigger than the club’ was emblazoned across a banner which was brandished in ‘Auba’s’ direction, a statement of discontent from the club’s famous ‘Yellow Wall’ that was also accompanied by a barrage scornful hoots and shrieks, given the striker’s tepid performance on the day. Having failed to make an impact upon proceedings for Peter Stoger’s BVB, Aubameyang’s first notable opportunity to silence the boo-brigade came in the 32 minute, although the hit-man’s headed effort, following Gonzalo Castro’s aerial assistance, sailed innocuously over the crossbar, a damning phase in play which summed up the usually prolific offensive threat’s lacklustre game. It’s believed that Dortmund will demand £60m from the north-Londoners if they’re to secure Aubameyang’s signature, and the berated striker – who’s undoubtedly causing an immense amount of turmoil unrest in North Rhine-Westphalia – will presumably be praying that Arsene Wenger comes to his rescue with open arms after seemingly becoming public enemy number 1. Share the post "Arsenal transfer target jeered off pitch by own supporters"